As Thailand is one of the Asian Countries, SMEs in Thailand has always dreamed to grow their business globally, but never have a supportive platform and system to make such Dream come true. In Thailand, relationship is the key to success in business. To build relationship, it takes a lot of time to get to know, and to make people like and trust before doing business. 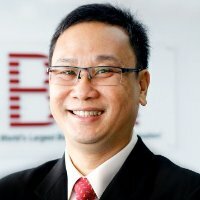 With BNI platform and the business referral community, we create “A New World of Opportunity” to local SMEs (BNI Members) to connect faster with other BNI members in 74+ countries with over 240,000 businesses around the world who may want to source from Thailand products to serve their customers. Our Members can do business across the globe with other BNI members through BNI Mobile application and can shorten the time to build relationship and start to do business faster. I am so inspired of her story and feel very happy for her success. After her success story, we start to have more BNI Members who want to grow their business worldwide and plan to visit BNI in other countries. 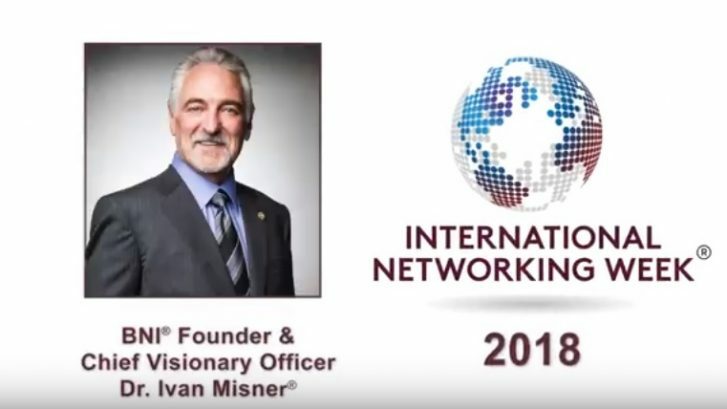 I am so proud of being part of BNI organization and thank you for Dr. Ivan Misner (Chief Visionary Officer and Founder) and Mr. Graham Weihmiller (BNI Chief Executive Officer) for creating BNI for SMEs around the world and support their dream to the next level. Wishing everyone a fantastic International Networking Week 2019! International Networking Week has come around again. The theme this year is “A new world of opportunity’ and as I sit here thinking about the various activities we have planned this year, I find myself reflecting upon the changes that have taken place in BNI since we first got underway in New Zealand, some 20 years ago. To say a lot has changed since those days is an understatement! The business landscape back then would seem very strange to today’s Millennials. The internet was only starting to gain traction, business websites were still ‘cutting edge’ and communication tended to be by telephone, letter or fax. The opportunities to connect and network today compared to those times is astounding. Imagine a world in which there was no smart phone, google, text messaging, What’s App, Facebook, LinkedIn, Twitter etc! And yet, this is the world into which we launched BNI in NZ. Since those times, not only has the world changed, but the organisation has evolved with it – truly embracing new opportunities as they presented themselves. 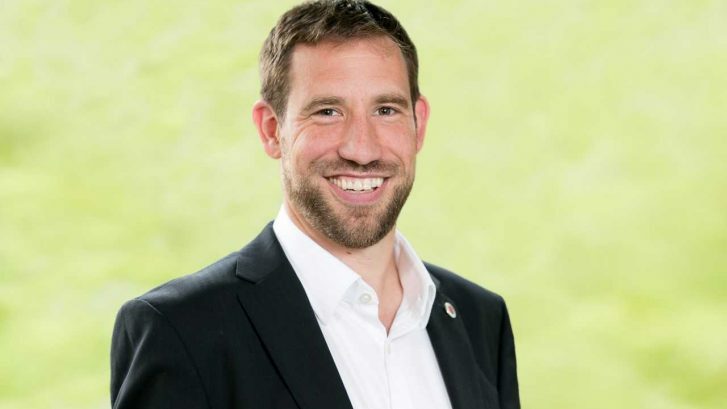 BNI has transformed from what was essentially a family business into a national and then international organisation – and today is truly a Global Organisation. Just this week for example, I received an email from a member in Singapore, seeking an introduction into our dairy industry. In those early days, I remember entering member application forms onto an Access database – which I duly backed up every few days, storing the discs off site. Today of course we have a global database in BNI Connect – who would have thought that we would end up with the entire business being stored in the cloud! Dr Ivan Misner led the change and was always quick to embrace new opportunities. He held the vision of a single global dataset and at the same time was the first person I knew to start writing a weekly blog, to use social media for business and to start producing weekly podcasts. For the first time members had direct access to the founder of BNI and we had a solution to the problem of the proverbial ‘leaky bucket’. Last year, the app was added to the BNI stable – and more recently through the app, the opportunity to pass referrals to members anywhere in the world. BNI University has added a new level of opportunity in terms of training and upskilling and on it goes. I don’t see the pace of change slowing anytime soon! If 20 years ago I had had a crystal ball and could have seen what was coming – I might have thought that BNI would have a very limited future. Who would have thought that today – with so many opportunities to network and pass business online – that there would still be a call for people to come together to meet over breakfast! In fact, BNI is growing faster now than at any time in our 34-year history, Changing the Way the World Does Business through our structured word of mouth marketing campaign, our core values to include Givers Gain and through engaging with the very communities in which we are doing business – through the Business Voices campaign. In New Zealand this takes the form of our support for hospice and our funding of Hospice New Zealand’s Palliative Care programme. In addition, the various chapter led fundraising activities have now raised close to NZ$2 million dollars for hospice. 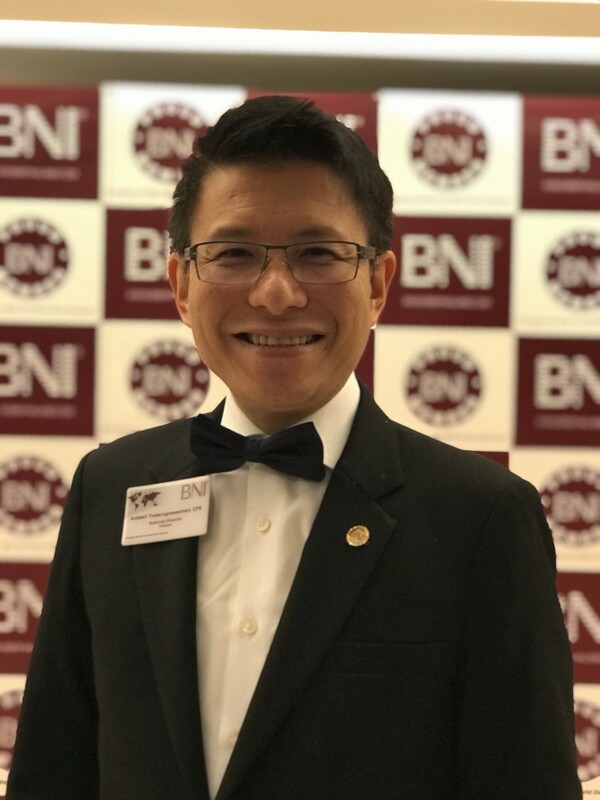 BNI truly is a remarkable organisation, the opportunities going forward are exciting and it is an absolute honour to head up BNI in this part of the world. When we talk about work, or more generally about the changes we are dealing with everyday, a word is often recurrent: the word opportunity. A word that, in the right phrase at the right time, create in the listener a series of thoughts, and hopes of reaching a goal or to realize a project. One of the synonyms of opportunity is a favorable occasion, that brings with it a positive change (almost everytime). And if we think about it, we live in an age where many opportunities are at hand. But above all, we live in what we could define the most relational age ever. The age in which relationships are not a way but a real aim. When I think about this, I begin to reflect on the great opportunities that referral marketing has brought and continues to bring to professionals and entrepreneurs all over the world. And I always pause on one in particular. When we talk about marketing strategies, we usually declare “beat the competitors”, “doing better than competitors”…and so on. Referral Marketing turns upside down this point of view by finding in collaboration and not in competition the real opportunity for growth starting from a precise assumption: the global result coming from collaboration is larger than the sum of the single results that would be obtained individually. It is an approach to the business world that looks at the Other not as a competitor but as an opportunity: a great resource from a professional, intellectual, human point of view, able of enriching us and giving us the possibility to reach goals that we would not be able to reach alone. Seeing today many Italian entrepreneurs and professionals who apply this approach to their business is certainly one of the things that makes me proud. Approaching the market by practicing the culture of abundance brings positive benefits for the customer, for suppliers, for the market and for the whole economy in a larger scale. Therefore, thanks to Referral Marketing and the culture of abundance, a new world of opportunity opens up to us. An opportunity as big as the world. The Polish economy is becoming more and more dynamic. In 2018, the GDP increased by 3.8%, thanks to which Poland aspires to advance in the ranking of the largest economies in the world. More and more companies are being established in our country year after year. There are now 3,175,407 of them operating in Poland. About 25,000 new business activities appear on the Polish market each month. Many entrepreneurs, at different stages of development of their business, have to deal with challenges in their companies on their own, without any help or support from outside. At BNI, we enable business owners to collaborate in groups, thanks to which we connect them in business. BNI is the largest business organization in Poland, bringing together reliable entrepreneurs and responding to all the problems faced by business owners in our country. 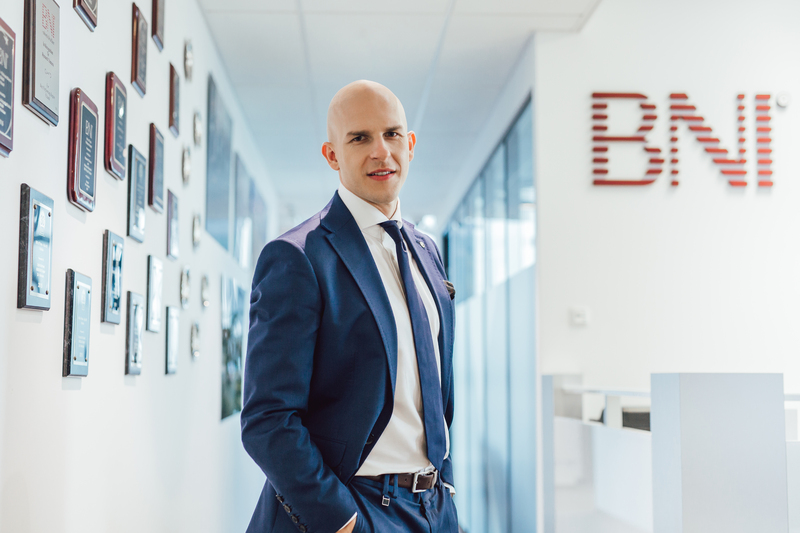 Currently, BNI operates in 25 cities in Poland and consists of 2 thousand members, who generated an additional net revenue of PLN 446 million from BNI referrals in 2018 alone. I joined BNI with an advertising agency in which I employed only 1 person and my company belonged to the BNI Group in Kraków at that time. In BNI, I went all the way from a Member, through various positions in the Leadership Team, Chapter Director Consultant, Chapter Area Director Consultant, to National Director. Two years after joining BNI, I became involved in the development of the organization and started opening new chapters. Together with other entrepreneurs, we set ourselves the goal of bringing together as many business owners as possible in BNI. We have expanded the organization to 12 chapters and nearly 500 Members in the region. BNI was the main source of growth for my company. The dynamic expansion of the organization in the region made my company grow very quickly. Using business referrals, I grew the company from 1 to 150 employees in 5 years. Apart from receiving referrals from BNI Members, I was also able to learn from them how to run a business and manage a company. Thanks to BNI, I met my future partners and associates. Since 2014, I have had the pleasure of being responsible for the development of the entire organization in Poland. There are two main goals that I have set for BNI. I want BNI to be present in every city in my country and I want BNI Poland to bring together as many reliable entrepreneurs as possible who are close to the idea of cooperation in business. Being part of BNI is A New World of Opportunity. Our organization is not just a group of dozens of entrepreneurs operating locally. BNI is an organization that is built by business owners from around the world who want to support each other in business. 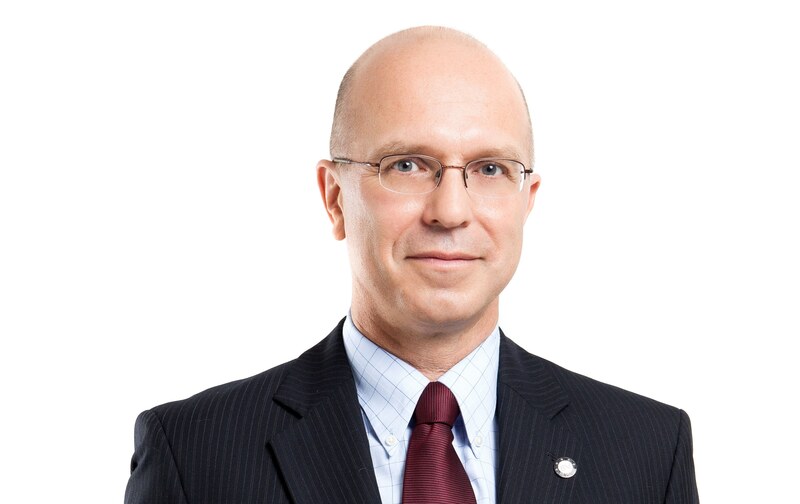 Mariusz Skalmierski, the owner of a company in the construction industry from BNI Victory Rzeszów, has found out about its strength and business opportunities on an international scale. Mariusz decided that he would go abroad with his business and start operating on the global market, especially in India. He began his attempts to enter the Indian market with economic missions, meetings with politicians and local government officials, and visits to various fairs. However, these actions did not bring tangible results. Only thanks to BNI and after holding meetings with companies from BNI in India did his activities on their local market gain momentum. Thanks to the help of other entrepreneurs from BNI, he managed to achieve his goal. His partner, Yash Vasant, is the director of two BNI Areas in India. They are opening a factory together and are going to specialize in the prefabrication of ventilation elements. Thanks to your membership in BNI, you too can grow your business not only locally but also internationally. BNI is a global network of contacts – with almost 250,000 BNI Members around the world. It is a huge growth opportunity for your business and it is up to you how you use it. This is a new world of opportunity. Looking forward to meeting you at the 2019 BNI Global Convention in Warsaw this November. Everything started in 2002, when I was in USA in a business trip and I was invited to a BNI meeting. It was winter, a dark cold morning when we arrived at the meeting place. We were very well received by the chapter members, and we kept an eye on the dynamics of the meeting. Frankly speaking, my first impression was that the meeting was an American thing made for American people. Because my focus on that trip was elsewhere, so I didn’t give continuity. Everything changed five years later, in 2007, when I was working with Executive coaching based on the development of Networking skills, so I remembered that experience with BNI. 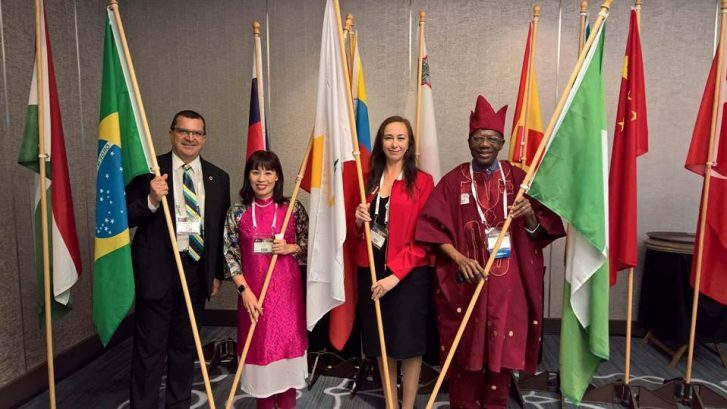 Searching BNI, it caught my attention realizing that this organization had doubled in size in the past 5 years, going from 2,400 chapters, 50,000 members in 20 countries to 4,900 chapter and 110,000 members in 44 countries. I also noticed that South America was the only continent without BNI presence. I immediately contacted BNI head office in USA, and the rest is history. Now, 10 years after my first BNI training in January 2008, we placed Brazil and South America in the BNI maps. Today, there are 130+ chapters and 5,000+ members in 8 States and 70 cities in Brazil. These numbers are important to illustrate the growth of BNI in Brazil and around the world, but the best was about to come. BNI’s essence are the people. They are the ones who build those numbers and make the difference in our lives. Therefore, it’s not hard to imagine what happens when those people decide to help each other and recommend business opportunities to one another, in other words, to practice the reciprocity law. The Givers Gain philosophy permeates the BNI organization. If I give you a business opportunity, you’ll be interested in give me business in return or to somebody else in our chapter. Only the ones who are a part of BNI are able to understand the transformational power of the Givers Gain philosophy. That’s the beauty of Networking. We never know where it will take us, the doors that potentially will open in front of us. This philosophy may appear simple, but it is not obvious. Very few companies have such a strong culture as BNI. What if I tell you that this organization and its strong culture has changed my life, professional and personally? And has been doing the same in the life of thousands of people around the world? It seems too good to be true, right? 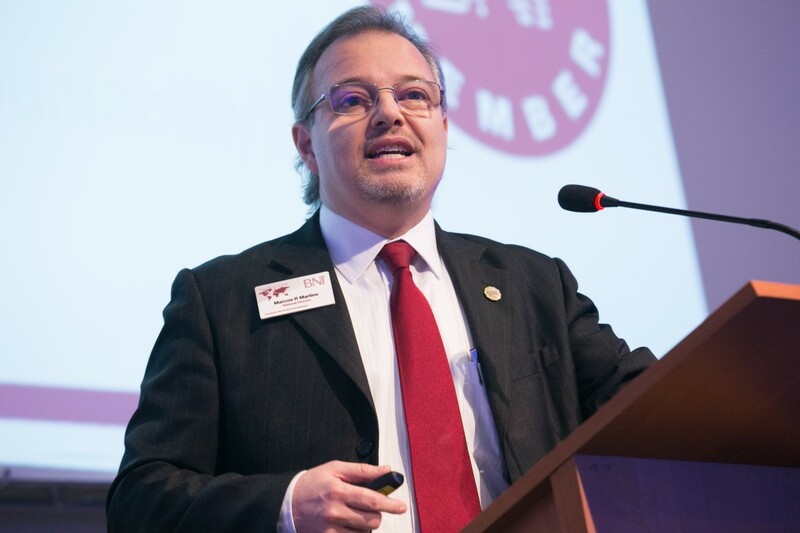 As the CEO of BNI Brazil, I’m suspect to talk about it, but what can we say about the hundreds of members and directors here in Brazil who has witnessed the change that BNI has done in their lives and companies? They say that BNI leveraged their sales in 50%. 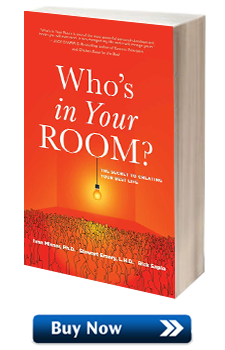 Others say that 80% of their clients come from referrals of their chapter members. There are those who say they have completely redesigned their companies through strategic partnerships with other BNI members. Not mentioning many cases where professionals and entrepreneurs come to thank me, saying that because of the business opportunities received through BNI they managed to avoid shutting down their companies during the economic recession. How grateful it is to receive this feedback! To know that we are making a difference in people’s life is priceless! This is what motivates me to keep waking up every morning searching the expansion of BNI to reach more and more entrepreneurs all over Brazil. Highlighting only one aspect of this transformation provided by BNI, for the first time in my professional life I was able to align my professional and personal values. I don’t have to be someone at work and someone else at home. Those who have already worked in big companies know what I’m talking about. When someone gets this alignment, simply, work stops being a burden and starts being a journey with purpose. During these 10 years leading BNI Brazil, the experience has shown me that in a bigger or smaller scale, people are being touched by BNI, members, directors, employees, also have given us the same feedback about this experience of alignment between values and purpose. Working in a collaborative way for the good of the others makes all sense to us in BNI. We know we are building together something much bigger, we are not just fostering more business to BNI members, we are contributing to transform people into better professionals, we are catalyzing business efforts to improve local communities where BNI is located. We are changing the way the world does business. BNI brings out the best of human being. 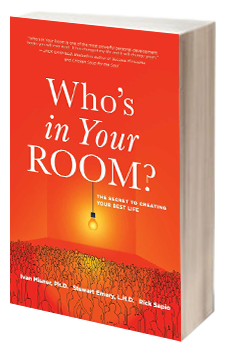 As Dr. Ivan Misner, founder of BNI, says, the BNI Organization haven’t helped only the evolution of mentality from competition to collaboration, but, more important, the evolution of mentality from collaboration to co-creation. Nowadays, if companies like Uber and Airbnb are in the vanguard of collaborative economy, BNI organization went beyond that, it was not only visionary materializing the collaborative economy more than 3 decades ago, but also as the precursor of the co-creative economy. Where all stakeholders get together to build a greater good for society. Literally, they live the profit with purpose mind set. It is not enough serving the stakeholder with good products, good services, good salaries and good profits – all of that combined effort needs to be grounded in a higher purpose, positively impacting society in which this organization is inserted. Of course, we from BNI, seek to grow our companies’ profits, but we know that at the same time we are co-creating a more collaborative Society where fierce and predatory competition (scarcity mentality, which divides and subtracts: for one to win, other has to lose) gives place to “coopetition”, in other words, cooperation between people and companies, generating more business opportunities for all, as well as strategic partnerships between peers and / or competitors. This is the mentality of abundance, which sums and multiplies for everyone to win. This is the BNI organization in action. Be welcome to the world’s largest referral organization, where a new world of opportunity is waiting for you. 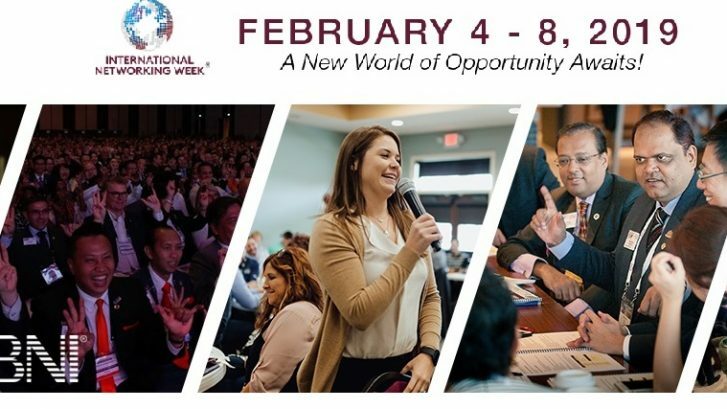 The 2019 International Networking Week™ continues our global theme called a “New World of Opportunity”. Over a decade ago, I started “International Networking Week” to recognize the value and importance of networking to entrepreneurs. International Networking Week really is about creating new opportunities. Opportunities for our BNI members and opportunities for the communities in which our members do business. I believe to be truly successful in building your business you need to build a personal powerful network. quality referrals. Please invite your best customer or a trusted colleague to visit your BNI chapter during International Networking Week. Visit InternationalNetworkingWeek.com for more information. 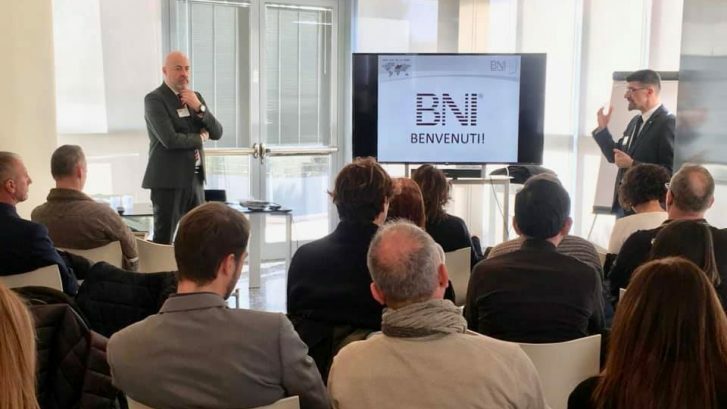 International Networking Week 2019® is an initiative of BNI®. 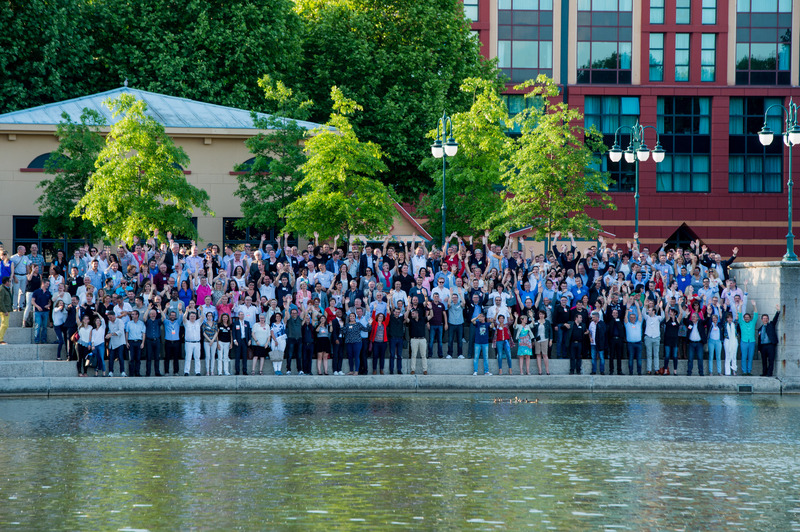 International Networking Week 2019 will feature a number of networking events across the world! Therefore, join us for the 12th Annual International Networking Week® on February 4-8, 2019. Please watch this video to learn about INW and how you can invite your best client to your BNI chapter during this week. In addition, opportunities occur anywhere for referrals. I have always looked forward to the International Networking Week. It is an opportunity to bring people from different organizations, different sectors and different interests together. Some of the friendships and businesses that has developed from the International Networking Week activities has been simply amazing. Great things happen when positive minded people network together! This year, the theme for the 2018 International Networking Week is “Diversity”. Diversity could be seen from many different angles, ethnicity, professions, geographical locations, age groups, and so on. I want to explore Diversity from the angle of industry – the industry in which your profession belongs to. For example, a caterer would belong to the events industry, an architect to the building industry and a graphic designer would belong to the public relation and marketing industry. Studies have shown that most business professionals have a tendency to network with people within their industry and in specific geographical regions. When I reflected on my previous career, it was so true! As the General Manager of a property development company, my network consists of architects, engineers, builders, contractors, surveyors and building material suppliers. I had very few contacts outside the construction industry, and outside of my hometown in Penang. When I joined BNI, and that was a good 16+ years ago, it was a real eye opener. I was then exposed to people from many different industries. There were people from the Financial Services, Business Support, IT and Technology, Health and Wellness, Food and Beverage, Event Managers, Legal and Professional Services, Manufacturing and Industries, Beauty and many others. Suddenly everyone had the opportunity to bring their business into sectors that they had previously not thought of. One of the best success stories is Wayne the Optometrist. The typical modus operandi of an Optometrist is to open an outlet in a shopping mall, and then attract walk-in customers. They would use pull up banners advertising special promotions, give out flyers in the mall and use social media marketing to attract more customers. Every day the Optometrist will pray for more walk-ins. Wayne was no different until he joined a BNI Group. He then worked closely with William the cleaner. Now, William is not the typical residential or office cleaner. Instead, he specializes in cleaning factories and has good relationships with many of the factory managers in the industrial zone. William helped Wayne to connect with the Human Resource manager of the factories, and arranged for free eye tests for the factory operators. Wayne and his team will then set up station at the factory canteen for a week, screening through thousands of factory operators, and immediately giving out prescriptions for spectacles for those needing corrective eyewear. And as you can guess, Wayne created special heavily discounted eyewear packages for the factory operators, and almost everyone who needed spectacles chose from those packages. Two weeks later, Wayne was back at the factory dispensing the spectacles. It was “Diversity”, the ability to tap into other industries that had allowed Wayne to work outside the traditional “wait and pray for customers” model to actively pursue new customers right at the factories themselves. 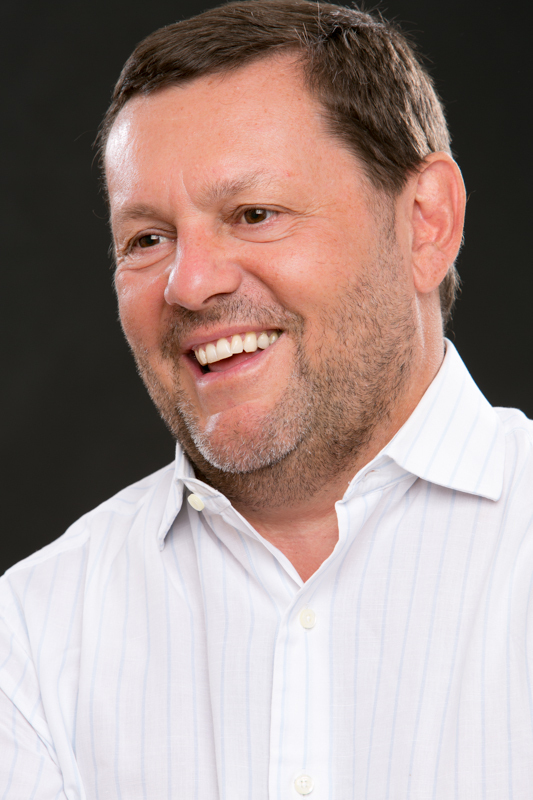 Wayne’s success stories had inspired many of his BNI group members to go outside their traditional marketing channel and get customers from other non-typical industries. 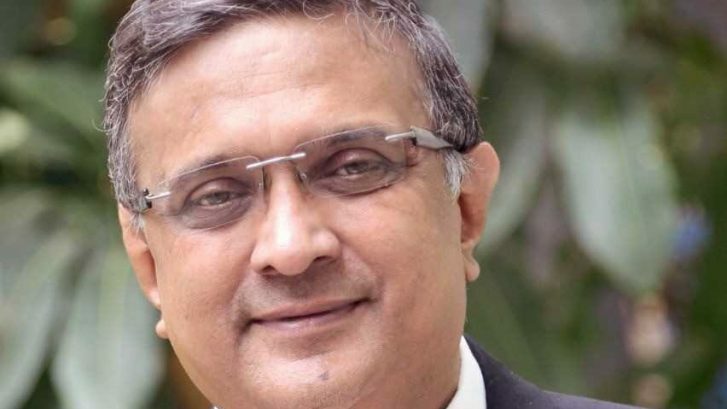 Like the tailor who worked with the member representing college student recruitment, and secured a contract to provide inexpensive suits for students for their internship programme. So, this year, at the International Networking Week event, we will be bringing business professionals from different industries, and from different regions. At the same time, having a balanced representation of various age groups, gender, and interests. By bringing such diversity to the International Networking Week, we believe that every participant will be enriched by the new relationships formed. Wishing everyone a successful International Networking Week! When I first attended a BNI meeting in the UK in 2003 my first impression was WOW and the second one was: this is incredible to see so different people working together. My previous experiences in my professional life were that people talk and develop relationships with people who are like themselves. Since these days until today, the importance and power of diversity have clearly shown its efficiency. Different backgrounds, different level of revenues, different type of education, different professions, different cultures, all of that is not only a possibility but a must have. When a chiropractor refer a Web designer, or a landscaper refers a lawyer, or a charter accountant refer an architect (and I could continue like that forever) that shows the efficiency of diversity. In the early days of BNI in France, I remember a massage therapist who has been able to refer a lawyer specialized in banking laws to the legal manager of one of the main French bank. That would never have been possible if we did not encourage diversities and chapters. The regular one-to-ones will help to build bridges and create a strong relationship with people that could have been considered to be too different to work together. 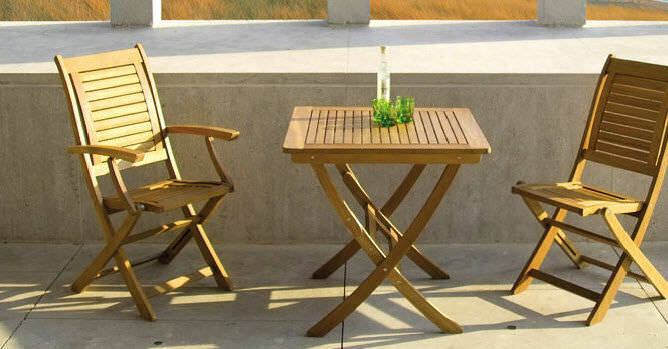 The chapters which show the highest return are often those which have a very high level of efficiency. Our average chapters in France and Belgium have 26% women and 74% men. When we reach over 40% women the return usually increases. Diversity is not only a “want to be” but a “should be”. Our Director team is so diverse. The only things we really share are our values. And that’s the most important. Let’s use the INW to open even more, let’s invite people in our chapters that are not necessary entrepreneurs but that we can help and we will see that they will help the chapters to go further. It will help create new relationship and open new networks. Let’s dare to work the diversity as a tool. In fact my belief is that diversity should be part of our core value. I once attended a networking event with about 200 business owners. Alongside the open networking sessions, there were some speaker sessions. Unfortunately one of the speakers wasn’t a great speaker. I found myself rather slumped in my chair, wondering if I could escape for a coffee. But just then, the session ended. The facilitator for the day came on to the stage and promised to find some business opportunities for someone in the room. This woke me up a bit, but he really caught my attention when he said he wanted to find business opportunities for the person with the ‘strangest’ (his word) profession. He clarified: he wanted to see if he could help the attendee with the most obscure business, that ordinarily, it might seem impossible to find business for. Various hands went up – and as a few professions got offered and rebutted – one gentleman, a guy called Matthew, stood up and announced that he manufactured and sold small plastic parts for commercial sewage systems. That was all he did. Talk about obscure: he had one product. That product was only used in one application – sewage systems – and let’s face it, how much do most of us know about sewage systems?!? I, along with most of the rest of the audience, sat back to watch what I was sure would be an absolute car crash: the facilitator trying his best to help Matthew get some business opportunities, but then having to accept that his business was just too obscure. Having asked Matthew to tell us briefly about a few of his recent clients (mainly local councils), and whom he wanted to speak to (mainly more local councils and public service bodies), there were about 50 different people who all had contacts that they would be able to connect Matthew with. 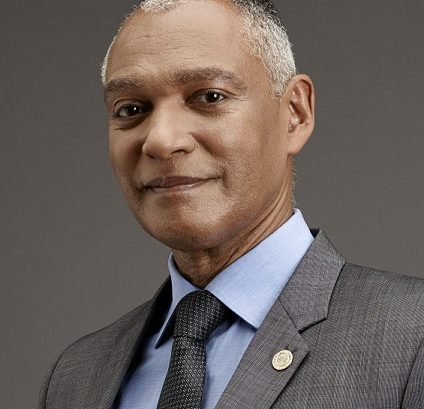 Clearly – they were all only potential business opportunities – firstly, Matthew had to prove himself worthy of being introduced, and secondly, like any referral, he would then need to sell himself and his product to the client: but wow – what a response from the room. What does this story tell you? For me, it’s about the diversity of networking. Firstly, you don’t have to be in a ‘mainstream’ profession to benefit from networking. As Matthew’s case indicates – it can be a case of the more diverse, the better. Secondly, I learned how diverse our networks are if we take the time to find out. I didn’t know Matthew before attending this networking event, but I made sure I had a chat with him after. He’d come along because he’d had his arm twisted by a friend. He was quite sure that he wouldn’t meet anyone who’d be helpful for him and his business. Indeed, he’d thought just the same as I had when he was called out for the business generation exercise. The facilitator would surely fall flat on his face! However, of all the people in the room who had offered up would-be business opportunities, the most interesting and potentially most lucrative came from his friend that had persuaded him to come in the first place! He’d just never asked. 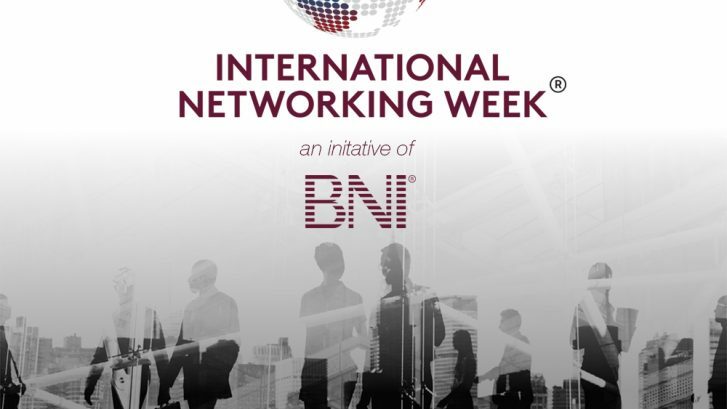 The 2018 International Networking Week® is an initiative of BNI®. This Year’s International Networking Week Theme: DIVERSITY! One of the most important keys to being successful at building a powerful personal network is diversity. 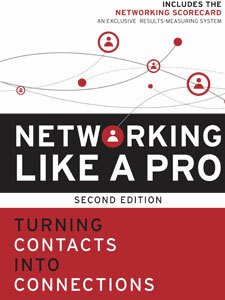 A diverse personal network enables you to have people in your circle as connectors to other people in communities where you may lack contacts. The Networking Scorecard™ App provides you with a mobile solution to measuring your networking efforts. If you’re ready to build connections that turn relationships into profitable customers, this mobile app is for you! The map can be downloaded from either the Google play store or the Apple Store for iPhones. GET THE MOBILE APP.